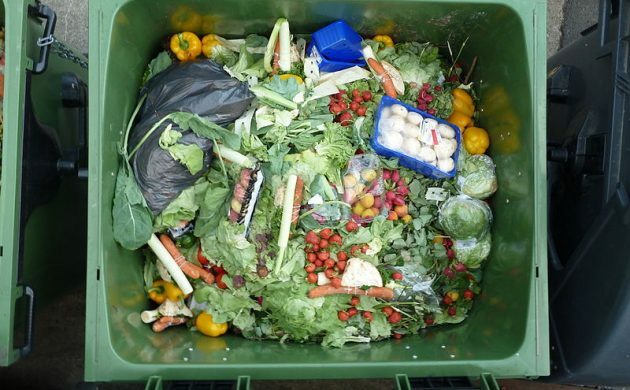 According to figures released by the Ministry of Environment, every year Danes throw 700,000 tonnes of food away, which could have been eaten. Shops account for 163,000 tonnes of this food waste, whilst households account for 260,000 tonnes. Additionally, figures from the Danish Agriculture and Food Council from 2014 indicate that wasting food costs 11.6 billion kroner, including VAT and tariffs. Netto is the first supermarket chain in Denmark to disclose the amount of food wasted, which in 2016 turned out to be 17,632 tonnes. At the same time, the company has set a goal for 2023 to reduce this amount by more than half to 9,729 tonnes. Brian Seemann, the director for Netto in Denmark, told TV2 that “it is typically food that we don’t sell before the final sales date that is thrown out,” which amounts to around 48 tonnes per day. Last summer, Netto took first steps to fight the food waste problem by launching a free mobile app ‘Mad skal spises’ (‘food should be eaten’) that enables consumers to find and buy food nearing its expiry date at significantly reduced prices. The supermarket chain has also set up an ‘idea bank’, where customers can contribute to the discussion and put forward their own ideas, and established a task force that educates staff in shops on how to reduce waste. “Since 2014, we’ve reduced our food waste by 10 percent,” said Seemann. As well as Netto, Dansk Supermarked also owns Føtex, Bilka and Salling and has 1,300 shops in Denmark. Several of the supermarket chains in the group are also expected to release figures for food waste in the course of 2017.